Human Resources Generalist – Seeking human resources professional with at least five years of experience to support leadership and staff by facilitating a variety of strategic, operational, and administrative functions at 90-person nonprofit organization working to save and improve human and animal lives through plant-based diets and ethical and effective scientific research. 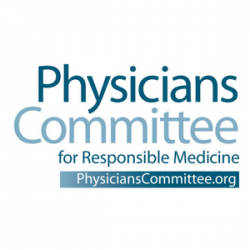 In your cover letter, please tell us about your human resources experience, professional goals and your interest in Physicians Committee’s mission. We look forward to hearing from you! Applications are being accepted on a rolling basis.